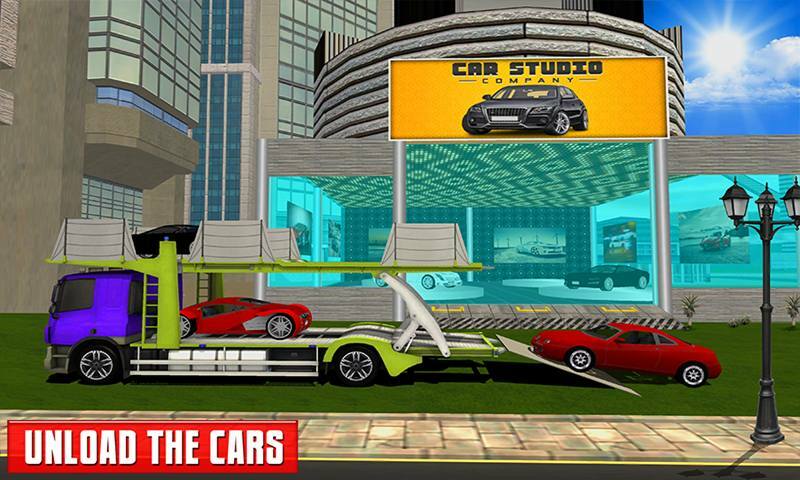 We are ready to welcome you in our sensational Multi Car Transporter Truck: Vertical Ramp Simulation, travel and drive the fully loaded truck with cars through the vertical mega ramps and flyovers paths to reach your destinations. Unique game play you have never seen before, just strap your seat belts and drive on the trickiest tracks to challenge your driving skills. Deadly vertical tracks and realistic truck driving controls will give you the feeling that you are really driving the loaded car truck on the self-destruction tracks. 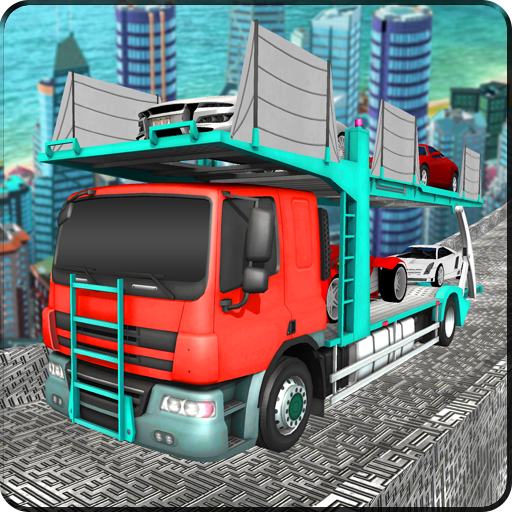 Get ready to enjoy the mega journey of the car carrier game like, Multi Car Transporter Truck: Vertical Ramp Simulation. Choose your favorite cargo car truck to drive on the mega vertical ramps that suddenly take you to the grand city. Do not lose truck controls while driving on the ramp otherwise, you will fell down to the earth land with your beautiful transporter truck and you will lose the game. Many driving camera angles and smooth controls will help you to become the king of the road that made this truck driving game popular. 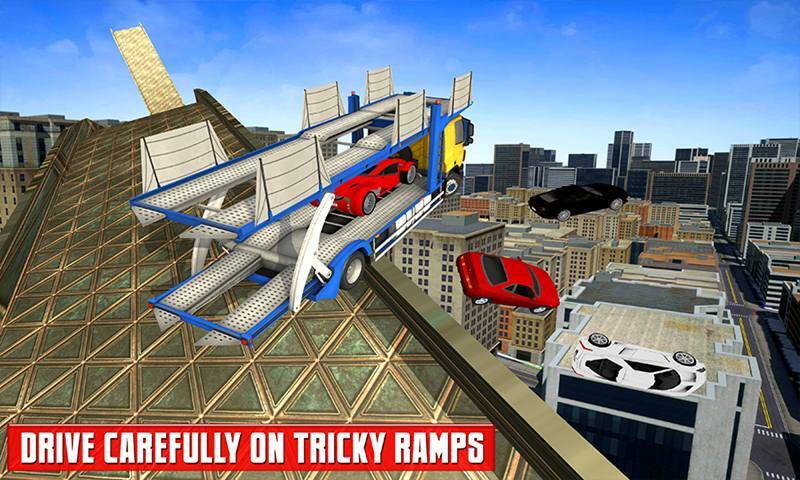 Multi Car Transporter Truck: Vertical Ramp Simulation contains the fascinated and challenging missions for transport games and truck driving games lovers. Number of powerful transporter truck you can play and ride, drive on the impossible vertical tracks as rookie driver. Challenge your driving skills and take the luxury sports cars to the city cars showroom safely. Control the speed of the truck on vertical ramp else your loaded truck will fall and you will lose the truck driving game. The cars will fall from transporter truck whenever you drive unsafely, if you take the truck with one car or more than one sports car you will be able to unlock the next mission. 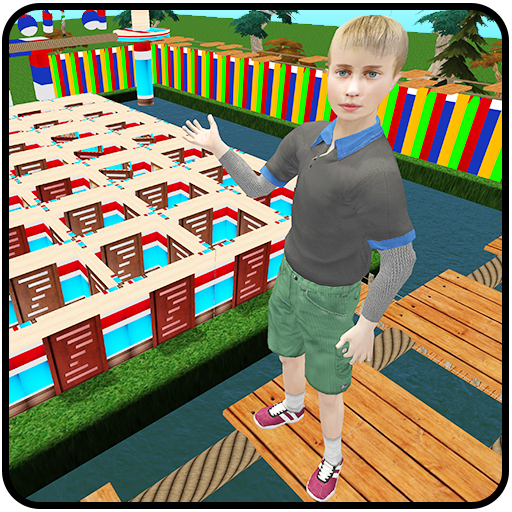 Gradually the game play become more difficult than the previous one when you reach towards your destination on time with the cars to unload. Complete each level with more cars to get extra score in this professional truck drive simulator so that you can easily unlock the other powerful trucks vehicles. Unique controls of the truck made this transporter game more entertaining and exiting. 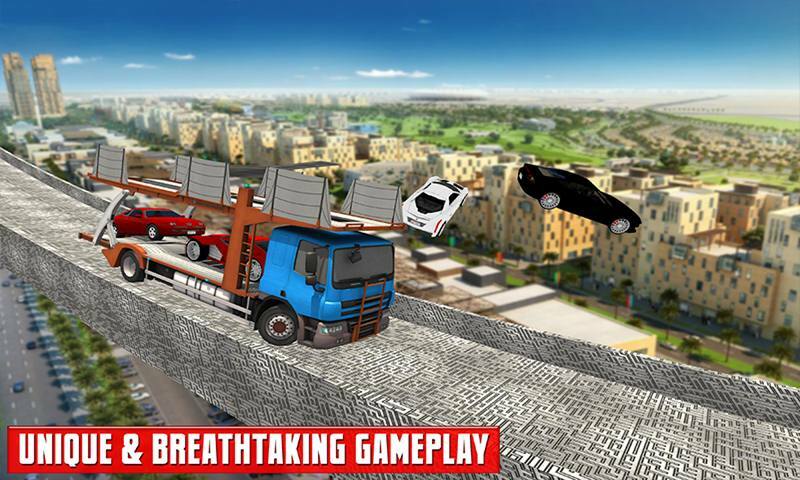 Jump from the mega ramp to grand city with car transporter truck made this vehicle transport simulation crazier. 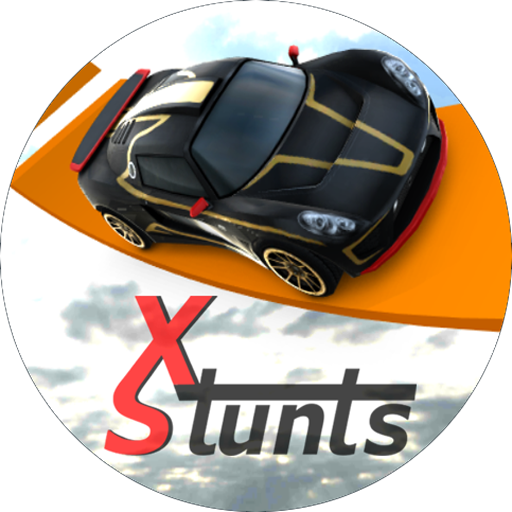 • Play as professional car transport driver. • Choose your favorite leading car transporter truck vehicle. • Tricky and sharp vertical ramp. • Unique and breathtaking game play. • 3D environment of the grand city and car showroom. • HD graphics and realistic controls of the truck. • Stunning camera angles of the truck you can change. 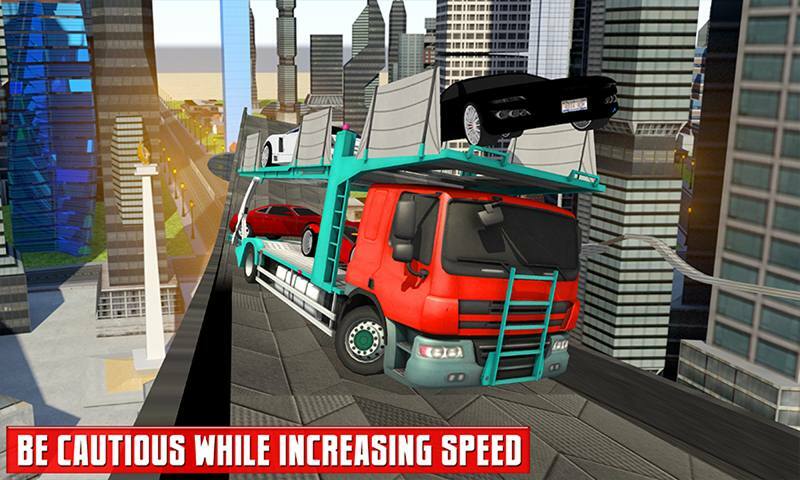 Enjoy the drive of heavy car transport vehicle on the impossible vertical ramps in Multi Car Transporter Truck: Vertical Ramp Simulation that contains the unbelievable missions for the truck driver games lovers. 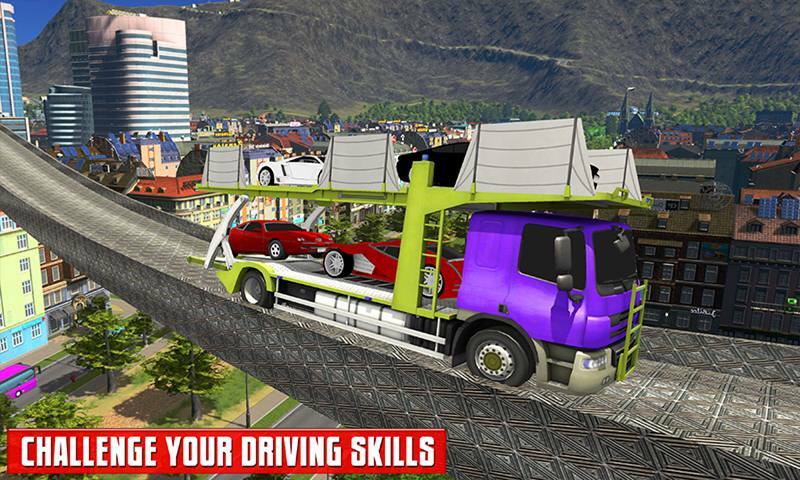 Dare your driving skills of car transporter truck on the most tricky and slippery ramps as well as drop the cars to the city car showroom to become the king of the truck driver.